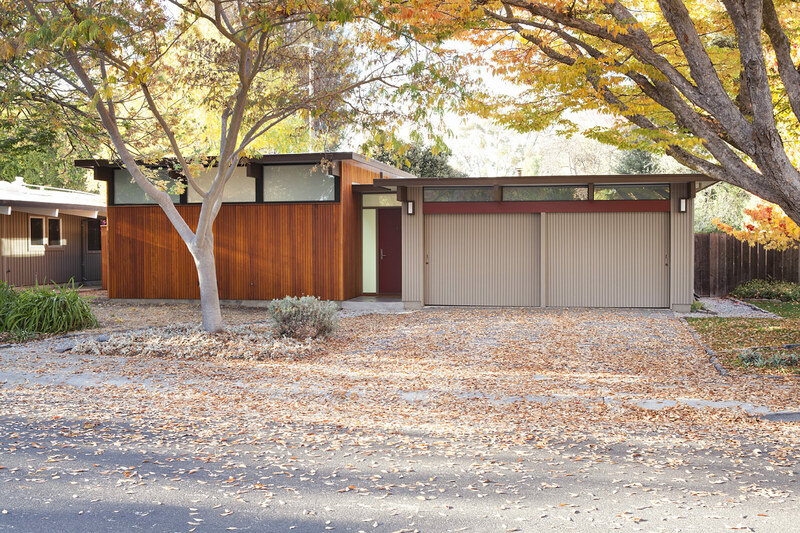 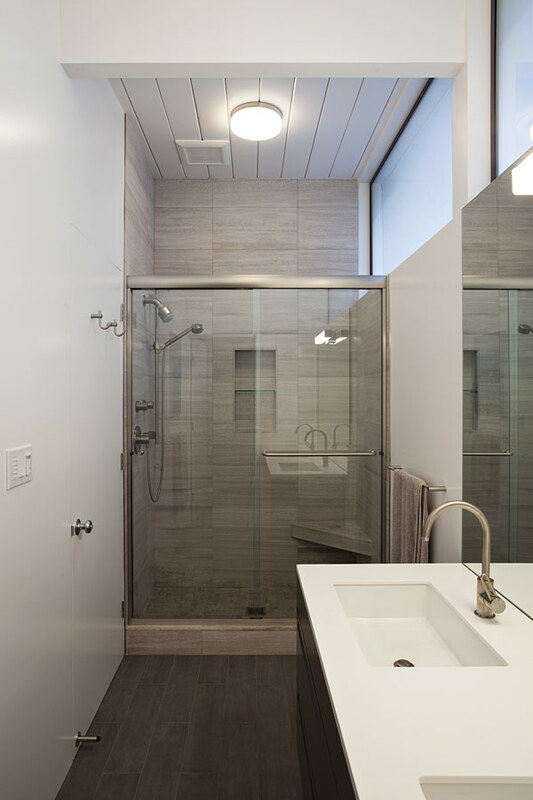 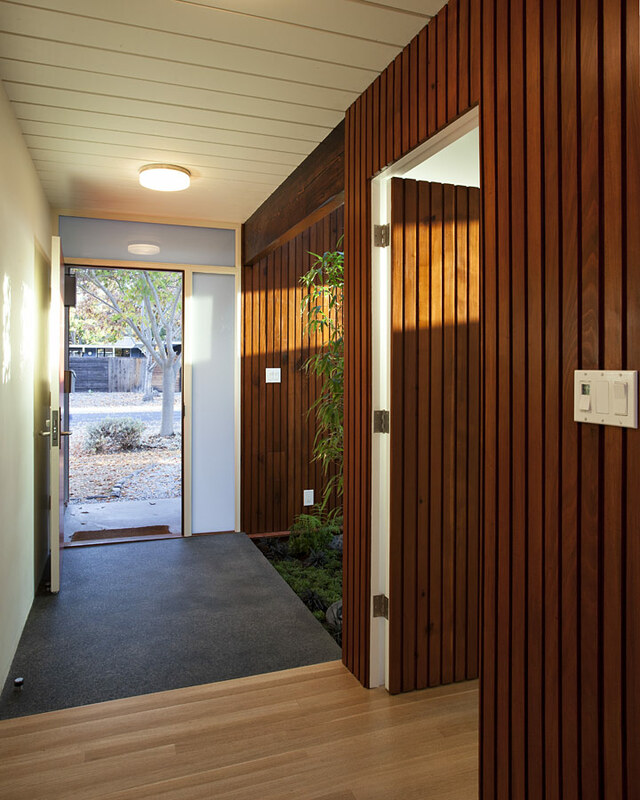 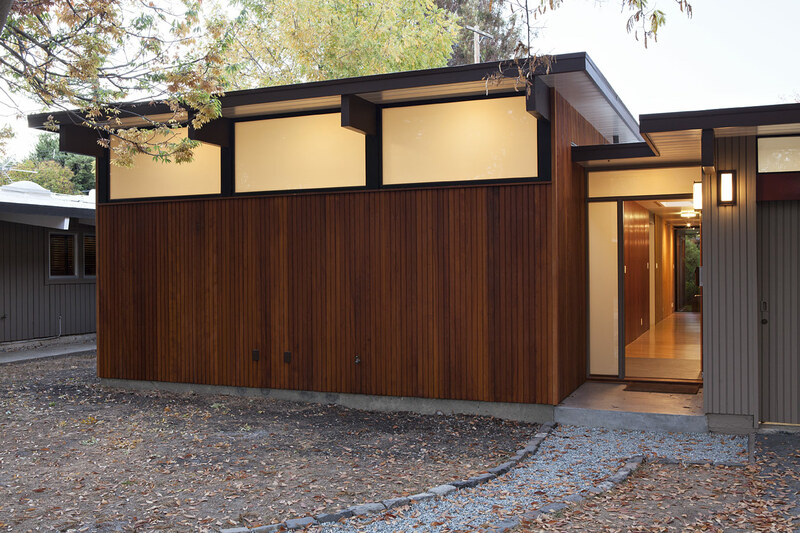 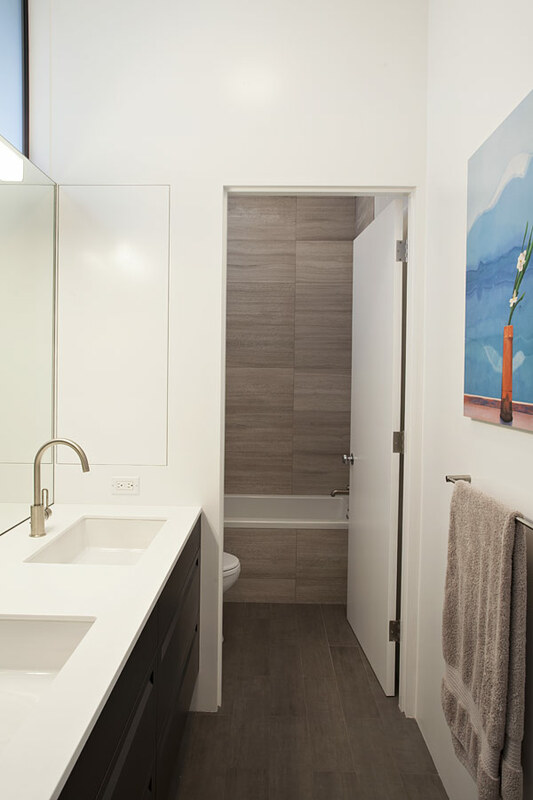 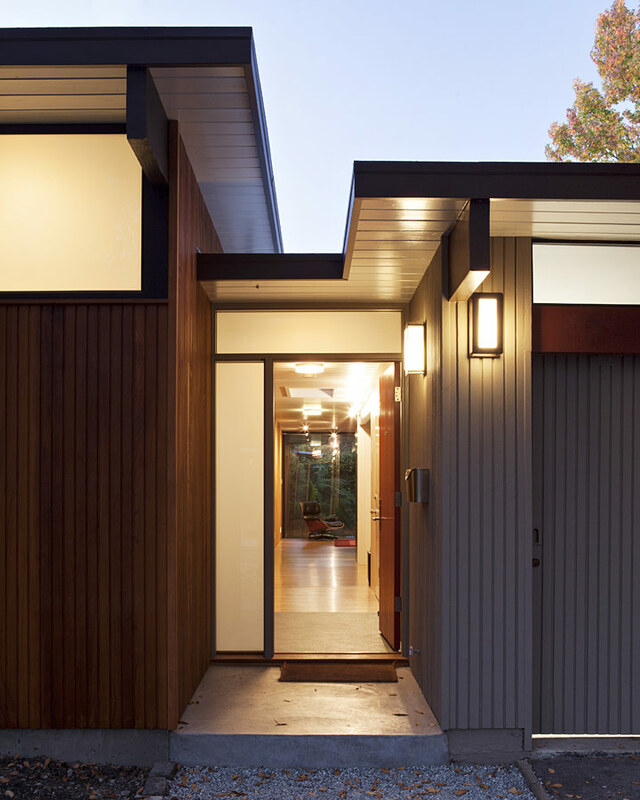 How do you expand an L shaped Eichler with the challenge of extending a long dark entry? 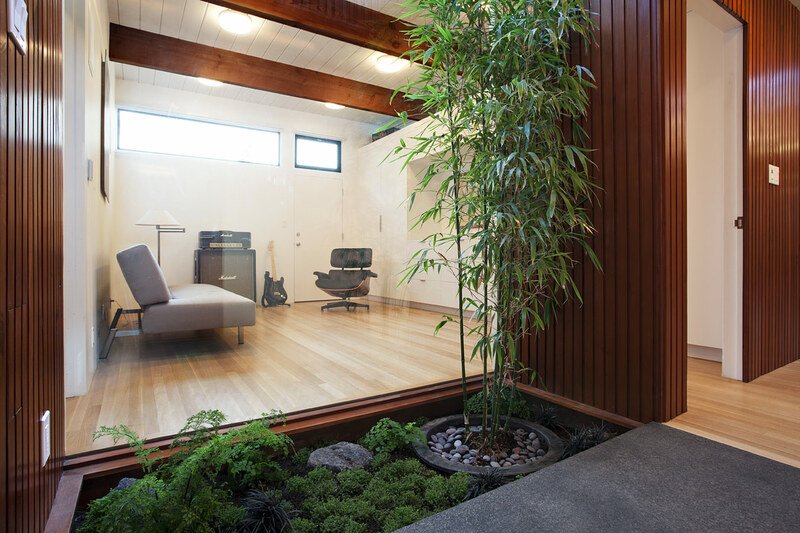 Klopf Architecture’s solution, to design a light filled atrium in the hallway to open up the bedroom expansion with green plants, sky lights and a glass wall. 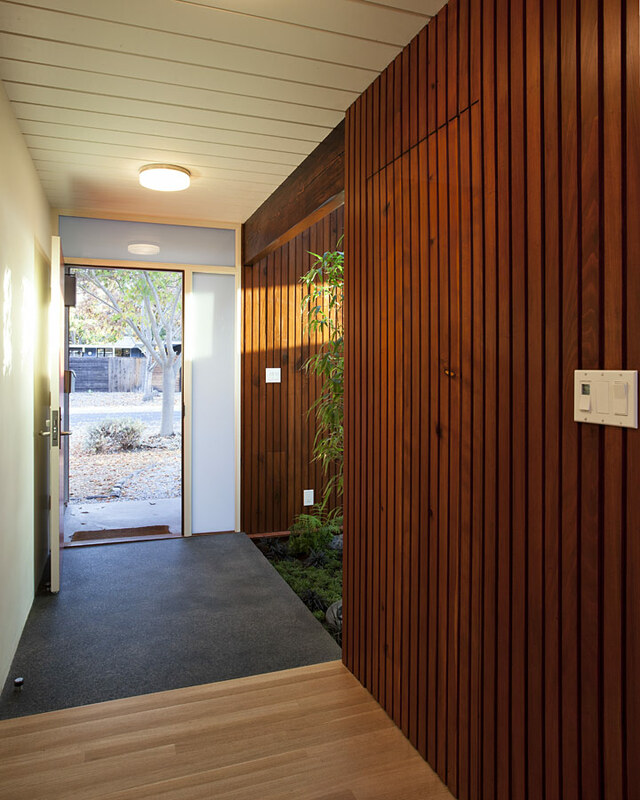 Not to mention the thoughtfulness of a blind door with wood siding similar to the rest of the home.